PHILADELPHIA -- The Philadelphia area's major transit system said an audit of its police body camera program found a reduction in both injuries and complaints stemming from officers' interactions with the public. 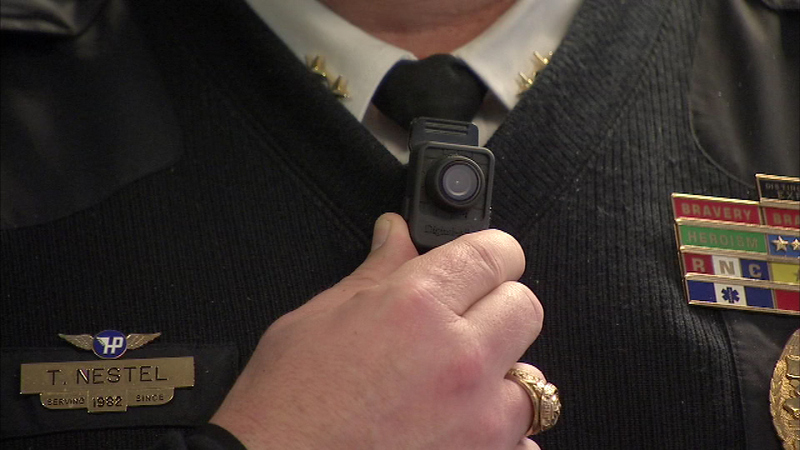 The Southeastern Pennsylvania Transportation Authority audit looked at the first six months of the body-worn camera program, under which the agency's approximately 250 police officers began wearing the equipment in January 2016. The report noted a 19 percent decrease in "response to resistance" incidents, a 20 percent decrease in suspect injuries, a 30 percent decrease in officer injuries and a 25 percent decrease in complaints against officers. The audit said the body-worn camera program may be responsible, either in changing the behavior of officers or by discouraging people from making false charges of officer misconduct. "On several occasions, citizens claiming wrongdoing on the part of the transit police immediately rescinded their statements upon being told that the original contact was video and audio recorded," the audit said. The drop in injuries reflected fewer physical contacts between officers and citizens. The audit said it was difficult to assess whether cameras were a factor, but it said that no other operational, staffing or training changes were believed to have played a role. Three transit police officers were formally disciplined as a result of body camera footage, and 40 counseling sessions were held with personnel requiring retraining on the body camera policy, the audit said. The agency said 13,970 videos were retained beyond the usual 90-day period for evidentiary, investigative or training purposes. Some problems were noted, including that more than 20 percent of randomly selected encounters didn't have the required corresponding video and a similar percentage didn't have the required announcement by the officer that audio recording was occurring. A Fraternal Order of Police representative didn't immediately return a call seeking comment.